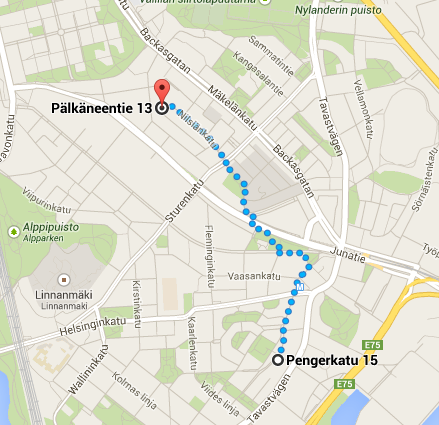 Our new address is PaÌˆlkaÌˆneentie 13 B (room 339). It is on the top floor of an old factory building, which is turned into an artist commune. It's the same entrance to the Vallila skate-hall, right next to Ã„Ã¤niwalli club.